Red fish, well fed fish. Premium seafood is just what the doctor ordered, and exactly what One Fish Two Fish brings to the table (and then some). 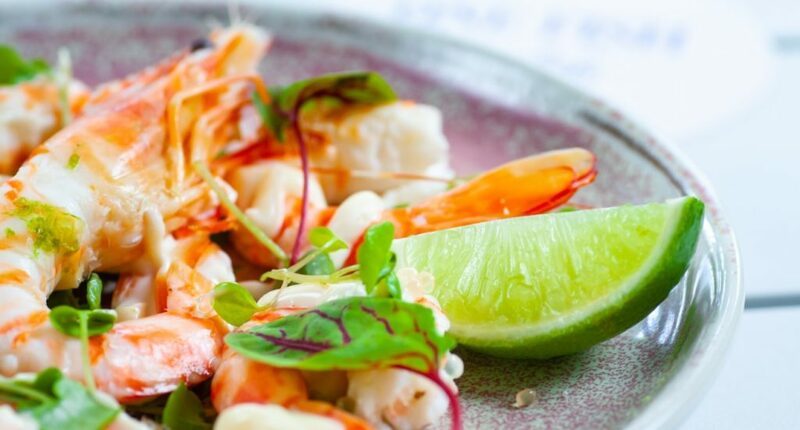 Kangaroo Point’s newest suburban restaurant and bar has tackled the gap in Brisbane’s well-balanced seafood eateries, once being limited to either “slap on your thongs and go” fish ’n’ chips or “we are literally paying too much for a piece of whiting” establishments. 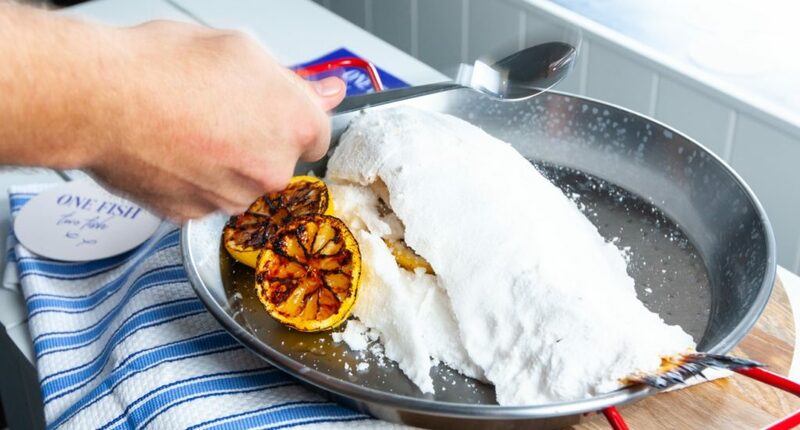 The pocket-sized Queenslander packs a welcoming punch, with an ’80s soundtrack setting the perfect scene for a catch-ups over booze, fresh fish dishes and all the scoops of roast banana banoffee ice cream your body can physically handle. 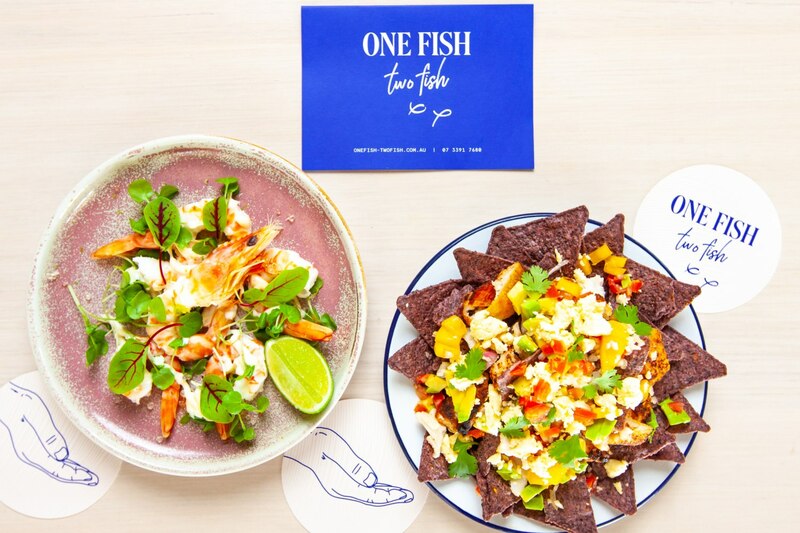 The gleefully named One Fish Two Fish has something for all schools of seafood lovers, with refreshing menu names instead of the usual bait – think ‘hook, line and starters’ instead of ‘entrees’, and ‘don’t leave yet’ in place of ‘dessert’. After you’ve worked your way through the shucking best oysters in town (served with oak-aged chardonnay mignonette and lemon), your hungry eyes will be drawn to a sea of unique offerings, including (but not limited to) rainbow cajun fish taco nachos, whole salt-baked fish of the day, the Quarter Flounder with panko-crumbed flounder goujons, lettuce, cheese, house-made tartare and fries, and grilled salmon with kale, quinoa and tomato salad. If you can drink like a fish – A) remember to do so responsibly, and B) you’re in luck. House cocktails on tap and a range of wines and beers will have your cheers-ing to good times, and knowing you’re in the right place in which to have them. Keep your eyes open over the next few months, as One Fish Two Fish will be launching dinners and banquets with some of the industry’s most respected names behind them. Rest assured we’ll keep you posted. There are plenty of fish in the sea, but none quite like One Fish Two Fish.